Ultimate Pogo Pin Test Jig for Arduino Shields « Adafruit Industries – Makers, hackers, artists, designers and engineers! 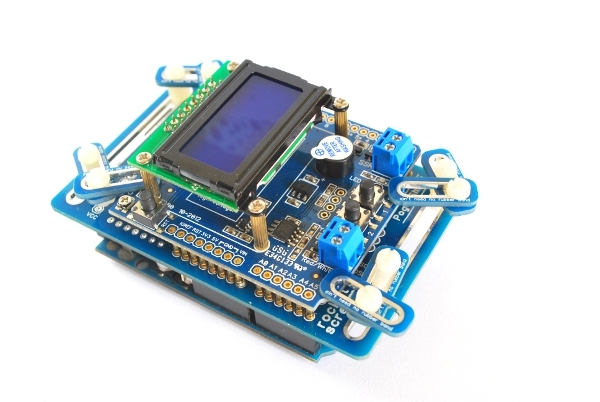 The team at RocketScream.com has a great post showing off their Arduino shield test rig. They run through the design decisions, and even offer up the design files so you can make your own test rig. Here at Rocket Scream, every boards are tested before being put on sale. When we first started, we have to admit we were awfully ineffective in testing each product that we made. Each test process was time consuming and our method could be described as primitive (imagine rubber bands…). As we make more and more boards, we need to ensure that the test process is more effective, repeatable, and less time consuming. Most boards or kits have connectors that are not populated during production. For example, a lot of shields in the market made for Arduino are usually sold without the stacking header populated. Some user might want to use different type of connector (header or receptacle) or direct wire soldered to the pads. In order to test shield without basically soldering any connector onto it, we needed a test jig that temporarily provides access to the circuitry on the shield. Our idea was to design a test jig board that could be sandwiched in between the shield board under test and a tester board (an Arduino board in this particular case). We came out with a pogo pins test jig for Arduino compatible shields that we made. If you want to learn more about Pogo Pin test jigs, check out our tutorial on the Adafruit Learning System.